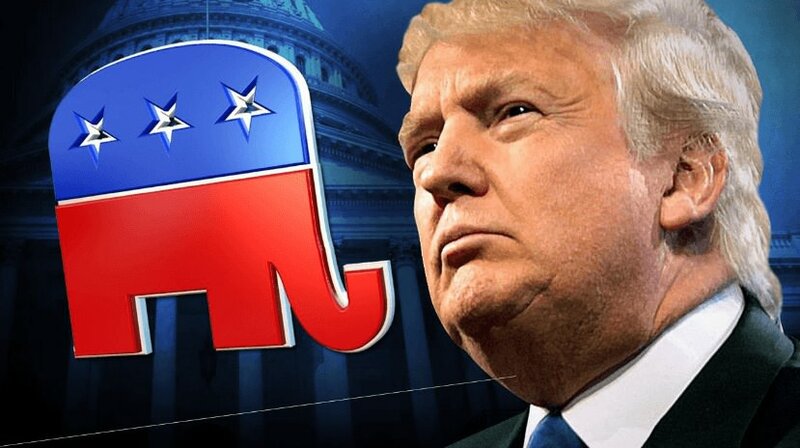 Forget what you have heard from Donald Trump, and his surrogates, because the #nevertrump, #delegatesunbound, and #freethe delegates are far from done their fight to remove the arrogant, liberal leaning, flip-flopping Donald Trump from becoming the Republican nominee. Now, just days away from the official party convention in Cleveland, the rebellious Dump Trump movement has made a startling announcement — they’ve got the votes needed to force a floor vote that could prevent Trump from getting the nomination. While their anti-Trump bid remains shaky, but not unlikely, the anti-Trump alliance will certainly test the treacherous relationship of the Trump campaign and leaders of the Republican National Committee — and cause a huge media storm in the process. One that is needed to put a spotlight on two major issues. The first issue is the fact that over 11 million democrats voted for Trump during the primaries, and without them, he would have never been in his current position, and secondly the GOP trying to regulate and control a free citizen’s ability to vote according to their conscious. The unhappy, but a majority of the Republicans are setting up a high-tech messaging system to coordinate with organizers on the convention floor and plan to launch ads micro-targeted to the delegates’ social media pages. They say they have organizers inside at least 35 state delegations who will help coordinate their drive to let the convention’s 2,472 delegates vote for whichever candidate they want. “There’s so much energy to do this,” said Dane Waters, co-founder of Delegates Unbound, one group challenging the conventional GOP rules that require nearly all delegates to back a specific candidate, based on state primaries and caucuses. “Delegates are the authority of the Republican Party. This is about the future of the Republican Party.”. It is time for the American voter to take control of their country, and this is true grit and true democracy in the process. Anyone who would question the intentions, or the ability to do such political proceedings is sadly lacking in the American revolution which declared independence from a kingdom that tried to control every move, vote, and idea of the colonists. Allied with other groups like Free the Delegates, they face a GOP establishment determined to prevent a toppling of the presumptive nominee — or any embarrassing, nationally televised showdowns during the four-day convention. Underscoring that, the GOP rules committee — a bastion of establishment loyalists — on Tuesday formally proposed to renew rules that require delegates to back the candidate they are “bound” to. The dissidents are saving their effort for later this week when the separate convention rules committee meets to craft a rules package to be considered by the full convention next week. Dump Trump advocates say they have at least 400 delegate supporters but won’t provide more detail. Though Trump won more than 13 million votes and captured around 40 primaries and caucuses, his foes say he’s not conservative enough and is likely to lose and drag down GOP congressional candidates with him. “He’s not a Republican, that’s the problem,” said Bill Eastland, a Trump delegate who like many of the dissidents preferred Trump’s former rival, Texas Sen. Ted Cruz. Eastland says he supports the movement to allow delegates to back anyone. Kendal Unruh, a Colorado delegate for Cruz and a leader of the “Dump Trump” effort, is pushing a proposal to let delegates vote their conscience by supporting the candidate of their choosing. She claims at least 28 members of the 112-member convention rules committee will support her — which if true would mean the full convention would vote on her proposal. Unruh, Waters and their allies have other options as well. There’s talk of other amendments proposing things like requiring the presidential candidate to release tax returns and restricting future Republican primaries to only registered Republicans. Both proposals are aimed at Trump, who has not released his returns and won many independent, as well as democratic votes in the Republican primaries. The True Conservatives say they’ve enrolled parliamentarians and lawyers to help demand roll call votes, recounts of how delegates are voting and other steps that might turn the convention into an embarrassing, televised battle. But such moves aren’t easy. The convention’s presiding officer — who at times will be Priebus or House Speaker Paul Ryan — has the clout to decide who to recognize on the convention floor to make procedural motions. Keep in mind that Paul Ryan without a doubt has stated publicly he would not want to limit anyone to not voting their conscious. America needs an awakening of the political process so that true Conservatives have an opportunity to select and have a Conservative represent their needs and beliefs. Any true Constitutional Conservative should be celebrating this action, and support it wholeheartedly, whether Donald Trump supporter or one of the other potential vote-getters including Ted Cruz, Marco Rubio, and others. If you disagree with the action of true Constitutional Conservatives using their constitutional rights, then you must not have the fortitude to believe that your candidate can withstand a public conscious vote tally……..
People like Donald Trump, his surrogates, The Horn news and its writers, Fox news, and its anchors will not agree with the Conservatives using their given right to question the voting and demand a vote of conscious, not demand. IF you believe in a truly fair and balanced America for all Americans, then you MUST side with the “outsiders“…..